Oulu is the fastest-growing city in Arctic Europe – it is a city that combines cool temperatures with a red-hot business climate. Being the biggest commercial, logistic and cultural hub in the region, Oulu is often referred to as the capital of Northern Scandinavia. It’s an efficient gateway to the rest of the region and is set to undergo substantial development over the next 10 years. In Finland, during the 1990s, electronics companies overtook traditional industrial firms, with Finnish mobile phone company Nokia taking the lead. The city has gone from strength to strength since then. Today, Oulu is ranked first in terms of technology research and development investments in Finland and is set to receive a further boost of €300-400m ($350-468m) to fund the 2025 Oulu Station Centre development. Finland and Oulu’s competitiveness is mainly based on technological expertise, which is utilised to support new businesses and promote corporate growth, but the city welcomes a broad spectrum of industries. Oulu also serves as a transport hub for Arctic Europe. Easily accessible by road, rail, plane and boat, travellers will find that arriving in Oulu is hugely convenient, whether they are making the trip for business or pleasure. Oulu Airport is the second-busiest in Finland and serves one million passengers annually, while the city’s port is one of the most important in the Bothnian Bay. With around five million tons of cargo handled in Oulu every year, it is hardly surprising that the city has gained a reputation for being a vital area for the logistics industry. Around 600 international meetings are held annually in Finland, attended by almost 70,000 delegates in total. In a recent survey by the Finland Convention Bureau, nine out of 10 congress attendees said they found the safety of Finnish host cities to be good or very good. In addition, the friendliness of the Finnish people was singled out for praise. In recent years, Finland has consistently ranked among the Union of International Associations’ top 20 congress destinations in the world. It is for these reasons that Oulu is recognised as one of the most popular Finnish destinations among international event organisers. 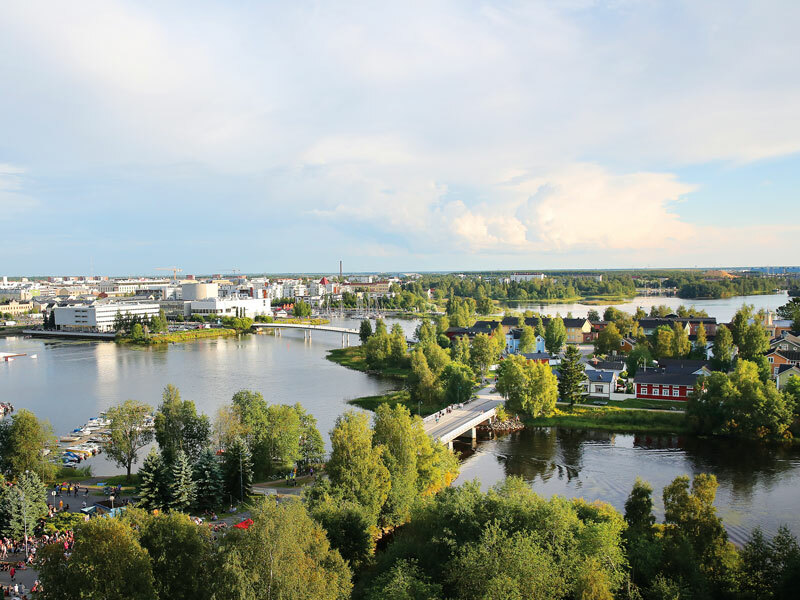 Oulu has twice been selected as the world’s smartest city by the Intelligent Community Forum and was named the European city with the best quality of life in 2015. In 2017, analysts from banking group Macquarie named Oulu as one of 13 ‘brain belts’ in the world – areas that attract the smartest people to work in cutting-edge industries. The city has two universities, the Oulu University of Applied Sciences and the University of Oulu, which provide firms with a constant stream of talented graduates. The area’s long association with hi-tech businesses means it is able to attract its fair share of experienced professionals. Oulu sets the stage for companies wanting to take a leading role in technological development: since the 1980s, a huge number of wireless technologies have been founded in Oulu. While the rest of the world is adapting to 5G, Oulu is already looking forward to 6G. Oulu Convention Bureau offers specialised assistance to companies and international associations that are looking for the perfect location to host a business event. Networks for new technologies are being continuously developed, while Oulu Innovation Alliance brings together the finest minds in printed intelligence, wellbeing technology, cleantech and 3D internet from research institutions, businesses and public sector organisations. Oulu’s success stories rely on the city’s strong basis in enterprise and education. In addition to its two universities, which have 25,000 students collectively, the Oulu Vocational College – the biggest vocational college in Finland – provides thousands more educated candidates for the city’s businesses. Oulu has four distinct seasons, each boasting unique features, from the midnight summer sun to crisp winter days and, of course, the polar nights illuminated by the world-famous northern lights. Furthermore, its seaside setting and four rivers have a calming influence on the area, even when high-profile business deals are being ironed out. 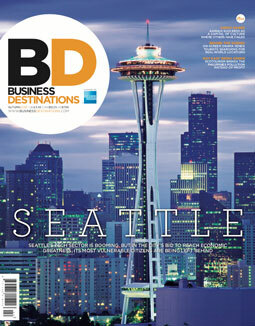 The vibrant city hosts more than 700 events annually, ranging from cultural highlights to truly one-of-a-kind occasions. The World Air Guitar Championships, for example, lets rock fans show off their (imaginary) musical skills, while Polar Bear Pitching provides a unique experience for visiting entrepreneurs. By challenging them to deliver their business proposals while submerged in the frozen Baltic Sea, entrepreneurs are given the chance to show investors just how serious they are about their ideas. Music fans will also find plenty to keep them entertained, including the Irish Festival of Oulu and Qstock music festival. The nearby countryside provides a number of possibilities for pre and post-conference tours. Nallikari Holiday Village is a year-round resort with high-quality villas just a stone’s throw from the centre of Oulu. The beautiful Nallikari beach can be found on the shores of the Bothnian Bay and, in wintertime, the frozen sea is a delight for ice-fishing enthusiasts. Visitors can easily combine business, relaxation and good food in Nallikari. Restaurant Nallikari serves Scandinavian-style dishes with a French twist. Reindeer, cloudberry and sea buckthorn are just a selection of the more traditional fare to be found, but there are plenty of courses with modern twists too, always using seasonal, local ingredients. In summer, large events can be arranged using the garden as extra space – the biggest conference held in the resort accommodated around 2,000 people. The green environment and Nordic hospitality in Oulu combine with modern technology to make the city an attractive destination for international meetings. Oulu offers a relaxed atmosphere in which to network and conduct international business. What’s more, arranging events in Oulu is simple, regardless of the size or style of the occasion. Oulu Convention Bureau offers free, impartial information and advice, as well as a planning toolkit, bid documentation, site visits and promotion to assist event organisers. Furthermore, the bureau puts prospective event hosts in touch with local networks of service providers. The approach is always tailor-made so as to meet the organiser’s needs and expectations. With around 11 hotels, 1,500 hotel rooms and 3,300 beds on offer, Oulu provides a variety of accommodation options for meetings and conventions of any size. Whether they are coming for a meeting or a conference, visitors can pick from many hotels, all of which uphold top-class standards. Oulu is a fantastic place in which to host events and network with like-minded individuals, but the city is about more than just business. While work may bring visitors to the city, the wealth of leisure activities on offer shouldn’t be missed.